As enterprises transition from on-premises IT, Oracle is positioning itself as the premier, one-stop-shop provider for cloud computing. You may think this is a stretch, considering that, for example, Oracle has been lumped in with "Others" in Gartner's ranking of top public infrastructure as a service (IaaS) providers, far below leaders like Amazon, Microsoft and Google. Oracle, however, has over the past few years steadily revamped its vast software portfolio to the point where all of its ERP applications are available, with their full feature sets, on the public cloud or in its Cloud at Customer offering, which lets users put all of their Oracle cloud apps behind the corporate firewall. It's imbued its PaaS (platform as a service) offerings with blockchain and machine-learning services and last fall released its Generation 2 Cloud, which it bills as as the perfect IaaS platform for its autonomous Oracle Database 18c. Oracle has been touting its achievements in the cloud at a series of Oracle OpenWorld and Oracle Cloud Day events around the world. IDG News Service Editor in Chief Marc Ferranti sat down with Hurd at the New York edition of Oracle Cloud Day last week to talk about Oracle's evolution, how it's helping its customers move to the cloud and why it's Exadata hardware business, tuned for its database technology, is growing. 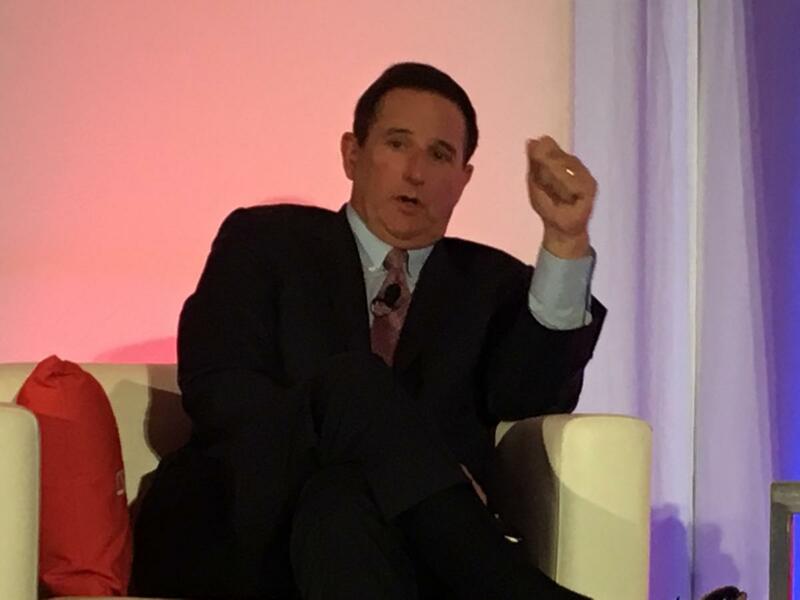 Mark Hurd: Listen, if we keep telling each other things are going to be bad, they’re going to be bad.